BAM!!! - POW!!! - CLUNK!!! - THUD!!! 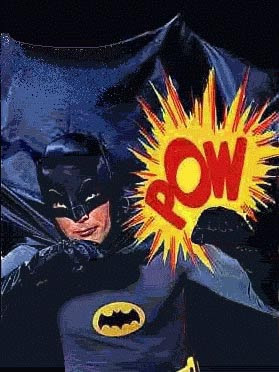 No, it's not the sound of a fight scene in the 1960's Batman TV Series, it's the sound your athlete made just before he or she fell to the ground in the last play. For those who were watching the last quarter of the Ravens-Steelers game, you saw a concussion happen in real time. As sports chiropractors, often we're the only one on the sidelines in case of an emergency and therefore find ourselves in the position of being a first responder. Hopefully an ATC/L or Paramedics is there with us, but a lot of the time that's just not the case. It's a good thing our CCSP or DACBSP training gives us the tools necessary to help manage these situations. For some of you out there, you are studying for the upcoming CCSP or DACBSP examination in April at the American Board of Chiropractic Sports Physicians symposium in San Diego, CA. If this is the case and your exam is coming up, here's an article written by a friend of mine, David Kushner, MD, that could really help. David is a neurologist with the University of Miami School of Medicine and he happens to be very knowledgable and is also one hell of a nice guy. 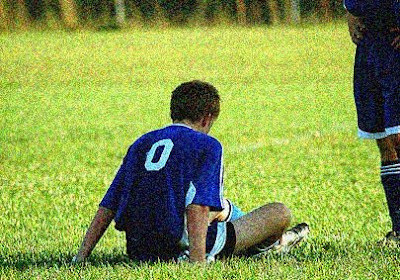 His article Concussion in Sports: Minimizing the Risk for Complications first appeared in the journal - American Family Physician in 2001 (Am Fam Physician 2001;64:1007-14) and should be the foundation for your review of concussion management. The article covers all aspects of (1) concussion grading (2) management of first concussion / return to play after first concussion, and (3) management of multiple concussions based on grade. All of which are nicely laid out comparing the 3 main concussion grading authorities: Cantu (which have been adopted by and are now considered ACSM guidelnes), Colorado & The American Academy of Neurology. If you're studying for your sports medicine exam or simply want a great review, Dr. Kushner's article makes a superb reference. Suffered a concussion and got treated at the Neurospine Institute in Orlando. Made sure nothing was wrong with my spine or my neck. In today's sports, concussions seem frequent and it's never a bad idea to at least get checked out.